As you begin the recovery process, and start looking to file claims with your insurance company, it’s important that you adequately document your damage. Whether or not you think your insurance will cover it, you should have an adequate accounting of what was lost. Do this by taking photos and video of your damaged property. 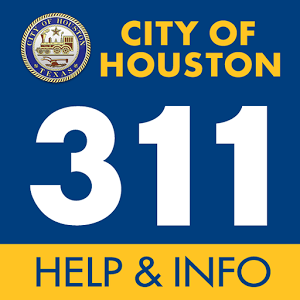 If you have suffered structural damage to your home, report it to Houston 311 by calling 3-1-1 (713.837.0311), or submitting a report at houston311.org. As part of the President’s Disaster Declaration for the Houston area, Houstonians may be eligible for disaster assistance from the federal government. Apply online at disasterassistance.gov or call 1-800-621-3362 (FEMA). Social Security Number: You will be asked to provide your social security number; if you do not have a social security number, your household may still be eligible to receive assistance if there is a minor child in the household who is a U.S. Citizen, Non-Citizen National, or Qualified Alien with a social security number. (NOTE: If you, your co-applicant or a minor child in the household are a U.S. Citizen, Non-Citizen National, or a Qualified Alien and do not have a social security number, FEMA will not be able to complete a registration. The Social Security number is required for Identity Verification purposes. )If you are registering for a business, enter the social security number of the responsible party for the business, the social security number will be used for an identifier only.If you are in need of further explanation/information call FEMA Helpline at (1-800-621-3362). Insurance information: You will be asked to identify the type(s) of insurance coverage you have. Financial information: You will be asked to enter your family’s gross total household income at the time of the disaster. Contact information: Along with the address and phone number where the damages occurred, you will be asked for information on how FEMA can contact you. It is very important that you provide FEMA with your current mailing address and phone numbers where you can be contacted. Electronic Funds Transfer (EFT) Direct Deposit Information (optional): If you are determined to be eligible for assistance and would prefer that funds be transferred to your account, you will be asked for your banking information, which includes; the institution name, type of account, routing and account number. Once you are able to get back in your home and see your damage, contact both your homeowner’s (or renter’s) and flood insurance company. Provide them with information about your damage. You may be asked to schedule a time where an adjuster will come to survey your damage. Make sure you file your claim within the window alloted by your policy. For more information on insurance claims and some valuable information, visit the Texas Department of Insurance website at tdi.texas.gov.